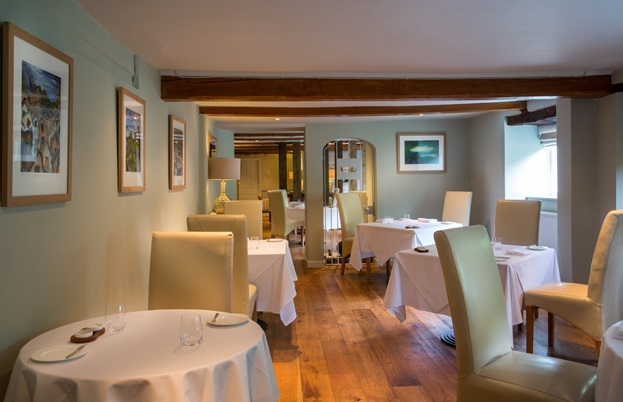 Tom Shingler talks to the Michelin-starred chef-owner of The Whitebrook in Monmouthshire to see how focusing on the foraged flavours of the Wye Valley has turned the remote restaurant with rooms into a dining destination. Few of us are fortunate enough to grow up and become what we said we wanted to be when we were a child. Saying that, my heart was set on becoming either a pirate or a dog, so sometimes it works out for the best. But when Chris Harrod saw Raymond Blanc on the television when he was seven years old, he made it his mission to work for him. It might have taken longer than he’d have liked (after all, Le Manoir isn’t the sort of place to use child labour) but Chris made it happen, and this determination has stayed with him well into his adult life, helping him turn a remote Welsh restaurant into a Michelin-starred dining destination. This setback resulted in Chris helping out Alan Murchison with the opening of L’Ortolan in Reading, a job which he said he’d do for a week or two but ended up lasting for a year and a half. 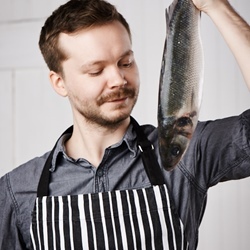 Chris loved picking up books like The Good Food Guide and see them talk about dishes he’d put on the menu, so he decided to move on and find his first head chef job, with the end goal of opening his own restaurant. This led him to Colette’s at The Grove in Hertfordshire, where over four years he learnt the ins and outs of running a kitchen. Chris eventually decided it was time to find funding for his own place, and left Colette’s to find investment. Little did he know it would take another seven years before his dream was finally realised. After one site in Buckinghamshire burnt down and another fell through, the recession hit and money was nearly impossible to find. Eventually Chris secured some investors, but couldn’t find a suitable site, and after years of trying to make something happen he decided to give in and find a head chef job. But that’s when a friend rang him and told him to check out The Crown at Whitebrook (as it was known then), which had just closed after falling into financial difficulty. From writing letters to Le Manoir as a boy, Chris had achieved his goal of owning his own place. But despite all his time at some fantastic restaurants, it was only when he came to The Whitebrook that he found his groove and honed his cooking style. 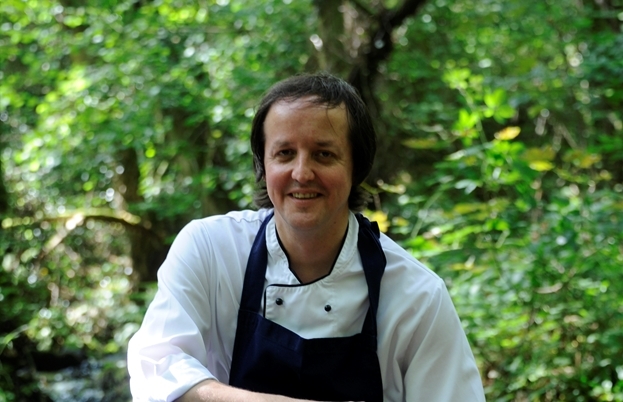 Initially thinking foraging was a bit of a fad, Chris soon discovered a world of new flavours growing in the hedgerows, estuaries and woodland of the Wye Valley. 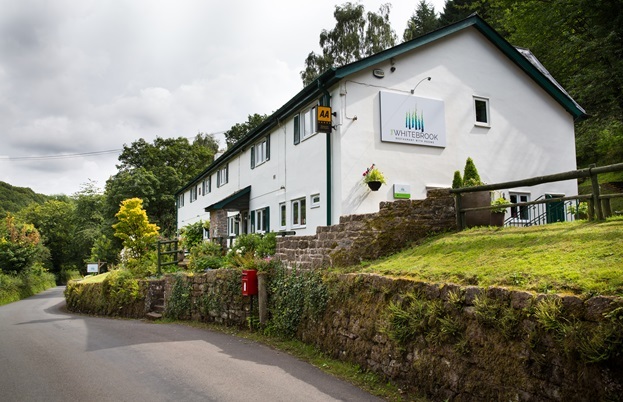 Today, every single dish served at The Whitebrook has some sort of locally foraged ingredient in it, and Chris lets what’s available dictate his cooking. 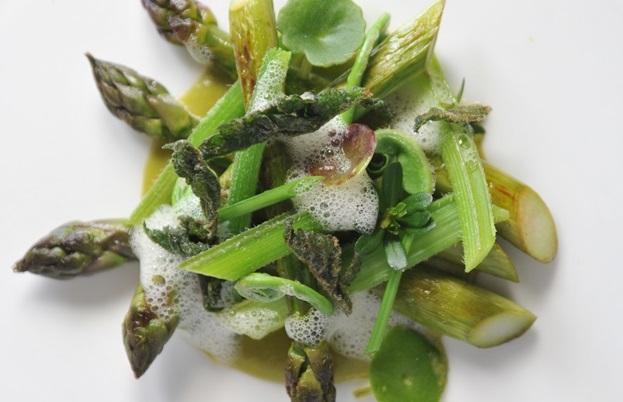 ‘Take our Wye Valley asparagus dish, for example – we roast the spears on a bed of maritime pine needles, then serve it with hogweed, pennywort and hedge bedstraw, bringing everything together with a sauce made with mead made in Tinton five miles away. The whole plate is produced within eight miles of the restaurant, so it’s a real taste of where we are. Chris is proof that foraging – when done right – can contribute an incredible amount to cooking. But it’s not just about the flavour of the herbs; it’s about creating dishes that are unique to The Whitebrook and the local area, making the long journey to the remote restaurant worth it. 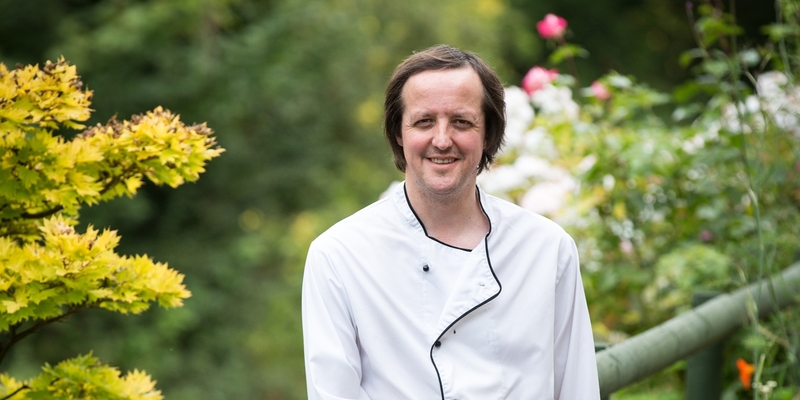 Diners love it so much that Chris is adding a few more bedrooms over the coming months, and continues to seek out unusual herbs, strike up relationships with local producers and tend to his small (but growing) kitchen garden. 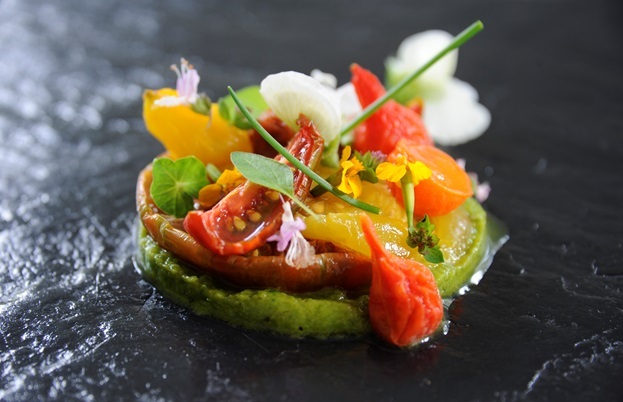 Le Manoir might be the bastion of fine dining that ignited that first spark in Chris, but rather than replicate it in a new location he’s evolved into something quite different. 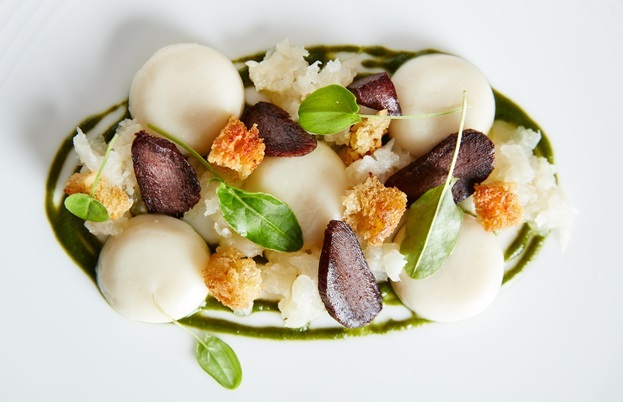 And while many restaurants play on the locality of their produce, Chris takes it to the extreme, with up to ninety percent of his ingredients coming from the Wye Valley at certain times of the year. It might’ve taken seven years to go from being head chef at Colette’s to owning his own place, but the wait was certainly worth it.